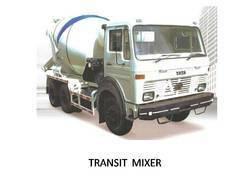 Transit Mixer available in 6 and 7 m3 capacity. - Mahindra & Mahindra Model 275 TU water cooled 4 stroke diesel engine 3 cylinder inline - 28.7 kw @ 2600 rpm /39 HP @ 2600 rpm. In order to keep pace with the never ending demands of customers, we are involved into offering wide range of Self Loading Concrete Mixer. Presenting the Nimo, the anytime, anywhere mixer. 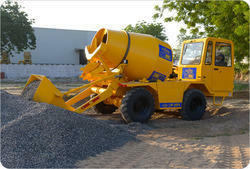 This revolutionary product is the only mixer which is permitted to transport concrete during daytime. Singh Construction Equipments & Machinery Pvt. Ltd.